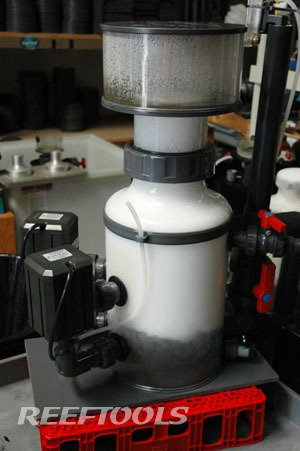 The RC350 Protein Skimmer was just unveiled by Euro-Reef. 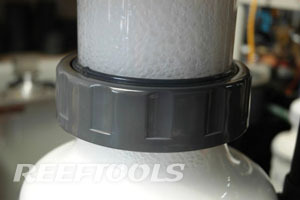 Euro-Reef’s popular RC Series Protein Skimmers utilize a mixture of cast acrylic tube, cast acrylic sheet along with custom made acrylic and pvc parts. Each of the RC Series Skimmers are hand made in the US, and are made per the client’s specifications. The Euro-Reef RC350 is ideal for a 350 gallon aquarium with a medium bio-load. 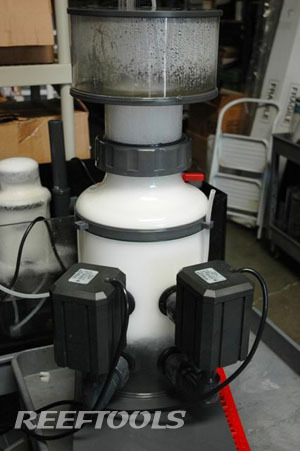 This recirculating protein skimmer boasts an impressive 10″ reaction chambers and 2 Euro-Reef Skimmer Pumps. You can see in the attached photos that almost 3/4 of the reaction chamber is full of milky white bubbles, which will ensures maximum contact surface. This model employs Euro-Reef’s trademarked Euro-Lock system for easy removal and cleaning of the collection cup, without added clearance. Check out the new Euro-Reef Forum for more info.